I have been cleaning out my closet. As many of you know, I have lost weight and my closet was brimming with multiple sizes of clothes from the many phases of my life. So I decided it was time to clean it out. It has turned out to be a multiple weekend endeavor with many lessons and memories along the way. I could not believe that even I, who’s not a super shopper, had collected so much. It makes you realize how much less you need or use than what you have, and how much buying clothes can be “a quick fix” that distracts you from big goals and big achievements. 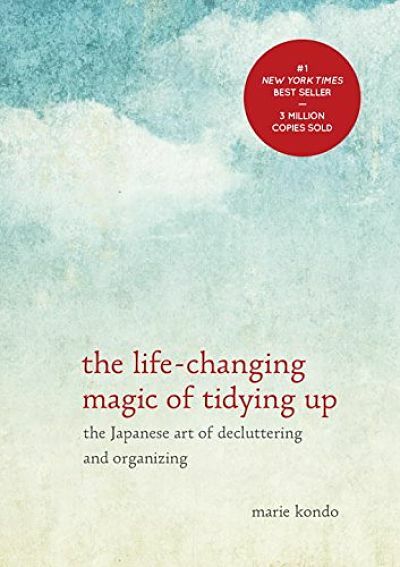 I just read the book, The Life-Changing Magic of Tidying Up: The Japanese Art of Decluttering and Organizing by Marie Kondo. The book is about the spiritual practice of cleaning out things from your life to energetically open yourself to the new you inside and out. As the book suggests, I looked at every item in my closet, tried them on, remembered every experience (good and bad), recalled every era; the 80’s, the 90’s, the 2000’s, and giggled when something old, looked so current and in the style of “vintage chic”. I looked through my “Jersey girl“ phase, my “Texas cowgirl“ phase, my “Boston grunge” phase, my “Hollywood glam” phase, my “Telemundo - trying to look like an exec” phase, my "TV appearance – anchor woman look” phase, and my “Going back to school - sweats all the time” phase. I was able to enjoy and process all those phases and ask myself, “Who am I now, who is the woman I have become?” And then, I let all of the other versions of me go. As women, we have to evolve and grow, honor our past, forgive our mistakes (and our wardrobe faux pas’ that make us laugh), and constantly search for who we are now. Today is all we have and in order to keep growing, we have to clean out the past. What we keep, is a metaphor for what we are holding on to that no longer serves us. Energetically, we must transform that past energy into generosity toward others by giving those things away to those who could use them or would enjoy them more, or we must make money with all of those things (that is our unsold inventory) and bring revenue to ourselves and our families. I just started on my 15-year old son’s room and I have re-lived his entire childhood. I found some Star Wars toys that McDonald’s gave out in their "Happy Meals" many years ago. They are now collector’s items and are going for upwards of $500 each. After I finish crying over my little baby being almost a man, I think my son and I are going to get down to business and make some money for his college tuition with Luke Skywalker and Darth Vader. Let’s remember Mission and Money, let’s remember part of the journey is cleaning out the closet - honoring and letting go of the past and sometimes reminding ourselves that in our past there is unsold inventory that we can sell to improve our future. BTW - Thanks for sharing Adelante Summer School with me. We had a great summer learning and now we are combing through your submissions for Crossover Casting and excited to help you all apply and get on to mainstream reality shows. There are tour dates this fall and more webinars coming soon.